Whether you like it or not, the buyer’s market of the past couple years or so has come to an abrupt end. Now, sellers have the upper hand, with multiple offers streaming in and properties selling way above list. Don’t believe me? A home in San Mateo, California, just outside San Francisco, snagged an astounding 97 offers during the first eight days it was listed. The original asking price was $375,000, but ravenous homebuyers managed to push the final selling price to $510,000. So no, your cover letter about it being your first family home won’t be enough to get your lowball offer accepted. Sure, this example is absurd and extreme, but it’s happening nationwide in highly sought after areas. I peeked at a few condos in Los Angeles and saw a similar trend – properties are typically pending within a week or so of the listing date, and selling for a decent premium above ask. So how on earth did sellers get the power all of a sudden? Well, there are a number of reasons. First, there isn’t any inventory. This is partially because homebuilders slowed down, and partly because existing homeowners are either underwater or unwilling to sell at rock-bottom prices. Investors also swooped in over the past few years and bought up all the foreclosed homes at major discounts. At the same time, homebuyer sentiment is on the up and up, and buyers are finally entering the fray, all at once. This has to do with relatively low home prices coupled with insanely low mortgage rates, along with the expectation that things can only get better from here. And when supply is low, and demand is strong, the frenzy begins. It appears as if everyone is simultaneously scurrying to snag a home so they don’t miss out. The big question is will they? Do you need to buy immediately in order to get a good deal (and a good rate on your mortgage)? While inventory is nowhere close to historic levels, it should pick up nicely over the next few months during the spring buying season. Most properties get listed in March through May, so there will plenty more to choose from if you can wait a month or two. The number of new listings may be even more pronounced thanks to this well-documented buying frenzy. At this point, prospective sellers know demand is strong, and for many who were holding out, this could finally be the time to throw up the for sale sign. After all, plenty of homeowners who were underwater for many years are finally breathing again, and the kneejerk reaction is to sell the minute you get the chance. This could spell opportunity for those looking to buy – just note that some of these existing homeowners will need a place to live as well, and may be competing with you when you make your offer. I’m not big on cover letters and “getting to know the buyer.” I think a strong offer is one that has the best chance of closing. That said, it’s not about gimmicks. It’s about numbers. Make the listing agent like you, not the seller. After all, they’re the one who stands to make a tidy commission. The agent will make the seller like you and your offer if you present it properly. At the moment, those who prove they can actually qualify for a mortgage will get first dibs (after cash buyers). This means obtaining a legitimate pre-approval letter and getting all your ducks in a row before even looking at a property. Determine the maximum loan amount you qualify for and focus your search on properties you’ll be able to afford, even if they go above asking price. In the past, you may have been able to bid under list, which would expand your pool of eligible homes. Now, it’s quite the opposite. Don’t waste your time on homes you won’t be able to afford if a bidding war ensues. Tip: If the buyer wants you to get a pre-approval with their preferred lender, do it immediately. You don’t need to use them, but it’s an act of good faith to do as they say as quickly as possible. Assuming you can’t go all cash, bringing in a large down payment is another way to show sellers you’re a serious candidate. We’re talking 20% down or more, not 3.5% on an FHA loan. Buyers who can’t do at least 20% probably won’t have a chance if there are multiple bidders, even if your offer is high in price. Sellers (and their real estate agents) know mortgages are harder to qualify for these days, and those who put down more increase their chances of approval. 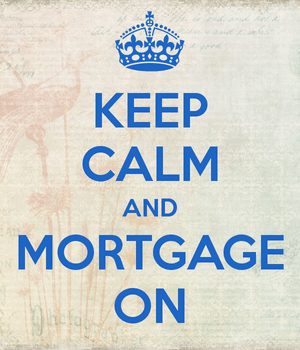 This is also advantageous in that you avoid paying mortgage insurance, which will keep your mortgage payment down. For the record, going with a conventional loan vs. an FHA loan may also work in your favor, as there are generally less restrictions with regard to the property itself. Along with down payment is the earnest money deposit, which is a deposit made with the offer that shows you’re serious about purchasing the property. If you can’t or are unwilling to put up a decent size deposit, the sellers may not think you’re as earnest, or as qualified as you say you are. Your real estate agent will be able to determine what’s large enough to ensure you appear as strongly as possible. Additionally, make sure you keep important contingencies in the contract, such as a home inspection and the ability to obtain mortgage financing. It may be tempting to forego some of these to make your offer stronger, but you’ve got to draw the line somewhere. Just note that contingencies related to selling your current home, in order to buy a new home, will likely be frowned upon and could cost you the deal. This sounds like a no-brainer, but not all real estate agents are created equal. Make sure you’re working with one with lots of experience. During a buyer’s market, it doesn’t matter as much – after all, a property sitting on the market for months will make for easy pickings. But when there are multiple offers, you need a seasoned agent that knows what it takes to get the job done. Even one misstep could be enough to miss a great opportunity. Your agent should be on top of all new listings (and even pocket listings) and good at communicating with the listing agent. Another tip to make your offer stronger is keeping the escrow period short. If you can agree on a 30-day escrow, as opposed to 45 or 60 days, your offer will probably be more attractive. Just note that lender backlog is a huge issue right now, so closing on time will be a lot more difficult. However, if you prepare yourself for financing and tackle any possible surprises before applying, it should make for smooth sailing. A shorter escrow period also means a shorter mortgage rate lock, which could save you money if you don’t float your rate. So there’s a benefit there as well, and an even bigger one if rates continue to rise as things heat up. Finally, remember to be realistic. Even though it may be very tempting to buy a home right now, there are still plenty of risks. Heck, you could overpay for a property or wind up with a money pit if you don’t do your due diligence. Work quickly, but don’t cut corners. Read more: Tips for first-time home buyers.